Father in heaven, your holy Word tells us to mourn with those who mourn, and to not repay evil with evil, but to overcome evil with good (Romans 12). Day by day your people pray “Deliver us from evil.” It grieves us to see evil and violence. We are grieved once again by the shooting last week in Orlando, Florida. We pray for those who live with anger—move them to seek help and move friends, family and others who sense that anger to help them. We pray for those who were injured—if it is your will, speed the healing of wounds to body and mind. We pray for the friends and families of those who were killed—draw them to yourself. Lead them to find comfort, hope, healing and peace in you. We also pray that we may give faithful witness for the hope that we have, with gentleness and respect, that those around us may be led by us to you, and that they may be moved and enlightened by your gospel of peace. …through Jesus Christ, our Lord. Prayer Reflecting on the Shooting in Orlando, Florida, June 2016 by Paul C. Stratman is licensed under a Creative Commons Attribution-NonCommercial-NoDerivatives 4.0 International License. Please contact for any commercial usage. Prayer for the Nation as the Election Approaches by Paul C. Stratman is licensed under a Creative Commons Attribution-NonCommercial-NoDerivatives 4.0 International License. Please contact for any commercial usage. Father in heaven, day by day your people pray “Deliver us from evil.” It grieves us to see evil and violence. We are grieved once again by the shooting last week in Oregon. We pray for those who were injured—speed the healing of wounds to body and mind. Prayer Reflecting on the Shooting at Umqua Community College in Oregon, October 2015 by Pastor Paul C. Stratman under a Creative Commons Attribution-NonCommercial-NoDerivatives 4.0 International License. Please contact for any commercial usage. 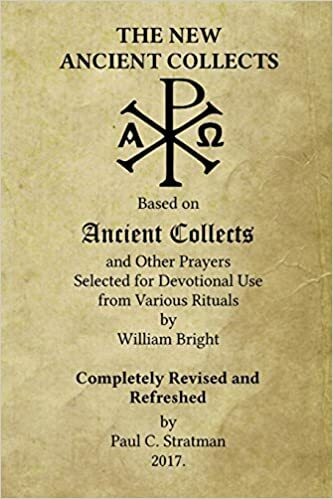 This prayer may be used in place of the prayers “We give thanks, almighty God,…” “O God the Father, source of all goodness…” in the Common Service or “Hear the prayers of your people…” in the Service of Word and Sacrament in Christian Worship: A Lutheran Hymnal. M: Lord Jesus Christ, on the night before you suffered, you showed your disciples the extent of your love, you gave them this sacrament of forgiveness and remembrance, and you promised them that you would drink it again with them in your Father’s kingdom. As we have partaken of this sacrament, show us your love in your words of invitation, restore our joy in the forgiveness you have won by your death and resurrection, and give us hope in the promise you have given of a feast to come. In this sacrament, live and rule in us, even as you live and rule with the Father and the Holy Spirit, one God, now and forever. Closing Prayer for Holy (Maundy) Thursday by Paul C. Stratman is licensed under a Creative Commons Attribution-NonCommercial-NoDerivatives 4.0 International License. Please contact for any commercial usage. This prayer is written to go with the lessons for The Resurrection of our Lord–Easter Dawn, Isaiah 12:1-6, 1 Corinthians 15:51-57, John 20:1-18. C: He is risen indeed! O risen Christ, our stronghold, our sure defense and our Savior, refresh our hearts with the living water of your gospel and cheer our hearts with the shout of your victory. Dry our tears as we deal with the hardships and tragedies of this world, and lift up our heads that we see you as our risen Teacher, Savior and Friend. You live and reign with your Father and the Holy Spirit, one God, now and forever. and cheer our hearts with the shout of your victory. as our risen Teacher, Savior and Friend. Prayer for Easter Dawn by Paul C. Stratman is licensed under a Creative Commons Attribution-NonCommercial-NoDerivatives 4.0 International License. Please contact for any commercial usage. Graphic: Mozarabic manuscript from the Cathedral of Leon, from Wikimedia Commons. and all who are dear to us this day. Let your presence be with us even to its close. we commend ourselves this day. Let your presence be with us to its close. that in whatever good work we do we are serving you.